Obnoxiously long title aside, this is easily one of my most anticipated movies of this year. On the heels of it's Sundance premier we have the first full trailer for the Ted Bundy biopic. I was a shoe in for this anyway, I'm definitely one of those folks that spends too much time watching ID Discovery and reading wikipedia articles on serial killers, they totally fascinate me. Bundy is the big fish in that pond. There were others who were more prolific, and still others that did far more abominable things to their victims but Bundy....well Bundy was just so normal (horrible murders aside). A good-looking, charismatic pillar of his community that spent his nights killing college co-eds across the country. 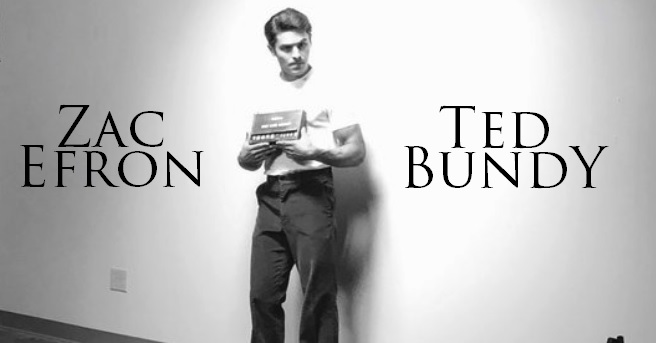 Zac Efron, who's playing Bundy, certainly looks the part but up until now we had no clue how he would play the role. I was pretty confident he'd be able to deliver, the guy can do anything it seems, but this trailer confirms it. A perfect balance between the smiling and charming guy everyone thought they new and the viscous serial killer hiding in the dark. The way he handles the court room scenes is unnerving to say the least, playing the jury like a fiddle and knowing he's lying the whole time. The scariest monster is the one we don't know is there. Extremely Wicked, Shockingly Evil & Vile premiers tomorrow at the Sundance Film Festival. Travis is there right now covering the events so keep an eye out for his early review. Sadly the US release date has yet to be released. If you really need your fix you can catch the new documentary on Bundy, Conversations with a Killer: The Ted Bundy Tapes, which debuted on Netflix yesterday.